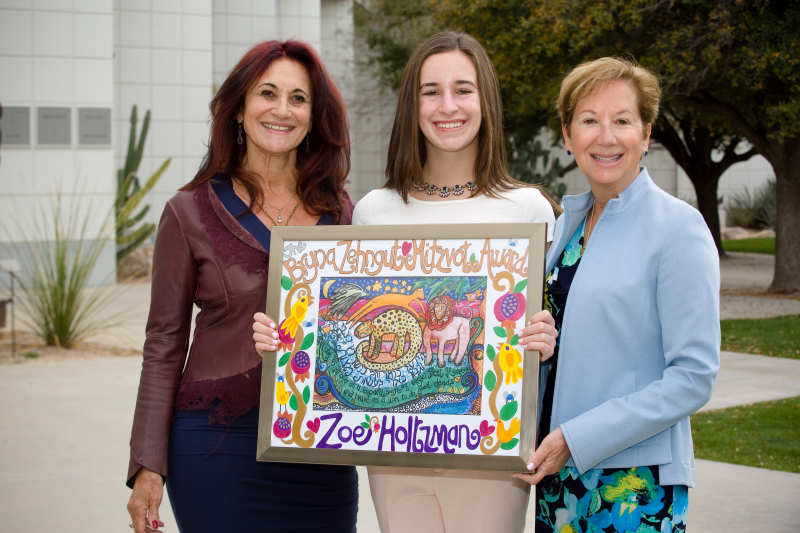 The Women’s Philanthropy Advisory Council of the Jewish Federation of Southern Arizona announces the twelfth annual Bryna Zehngut Mitzvot Award. This award, created to honor Bryna Zehngut, of blessed memory, recognizes an outstanding Jewish teenaged girl. The recipient should be a high school junior or senior Jewish girl who has been a role model of Jewish values and shown leadership through her community organization or volunteer activities. She will receive a $613 gift relating to the Torah’s 613 mitzvot. The money can be utilized towards participation on a trip to Israel, a Jewish leadership/educational program, or it can be donated in the recipient’s name to a Jewish non-profit organization. The honoree will also be recognized by Women’s Philanthropy of the Jewish Federation of Southern Arizona during the 2019 Connections Brunch on Sunday, March 10 at Westin La Paloma Resort. We encourage you to submit one or more nominations. Applications may also be submitted by emailing the requested information to scastro@jfsa.org . We thank you for joining us in recognizing the outstanding achievements of our youth.